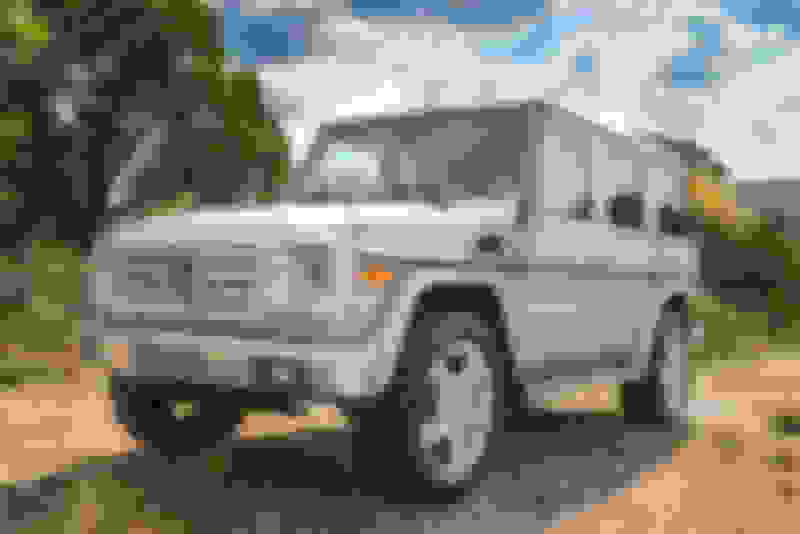 So my G550 should be here this week. 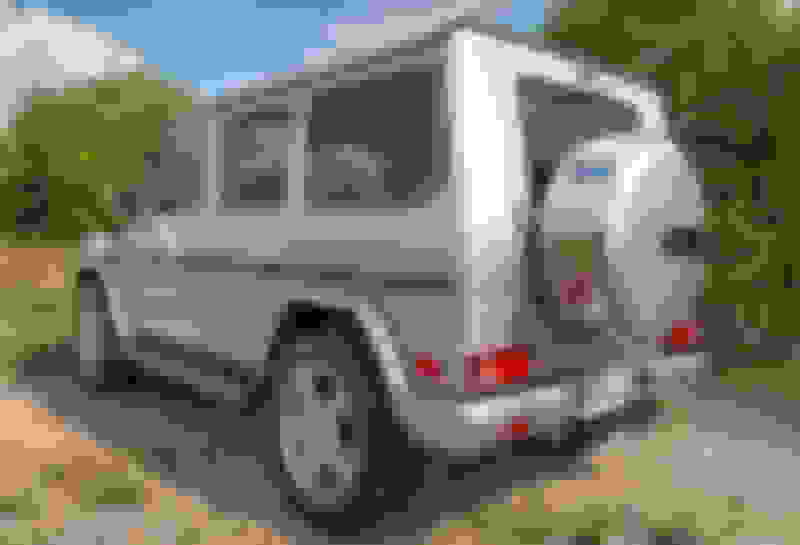 In the last 6 months of waiting, I have researched alternative tire choices for the G550. 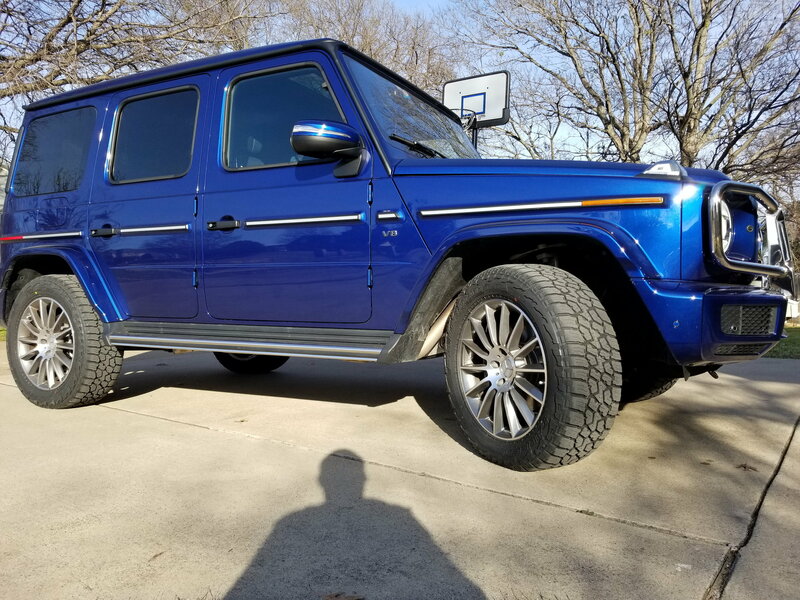 Although, I did order the AMG Line package, which includes 20" rims, I would still like some decent all-terrain or mud-terrain tires. 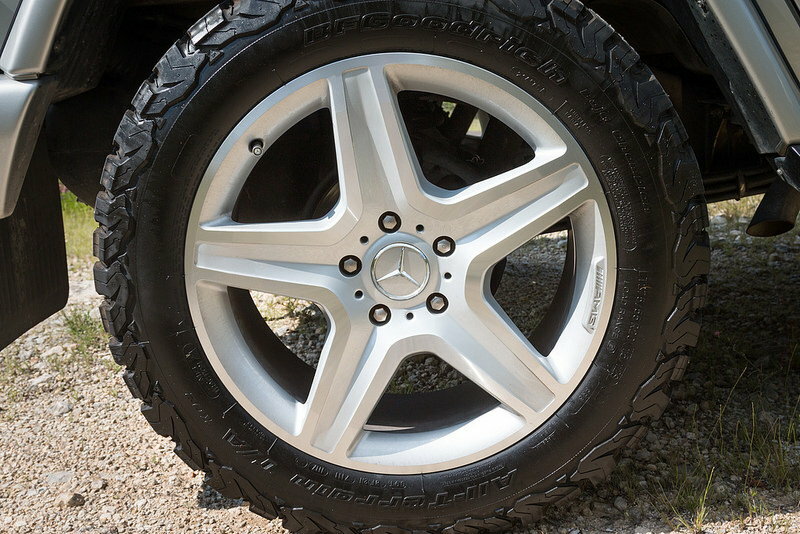 MT tires would look like "the business", but are not practical; they wear quickly, handle poorly, are noisy as hell and do not meet the speed rating. 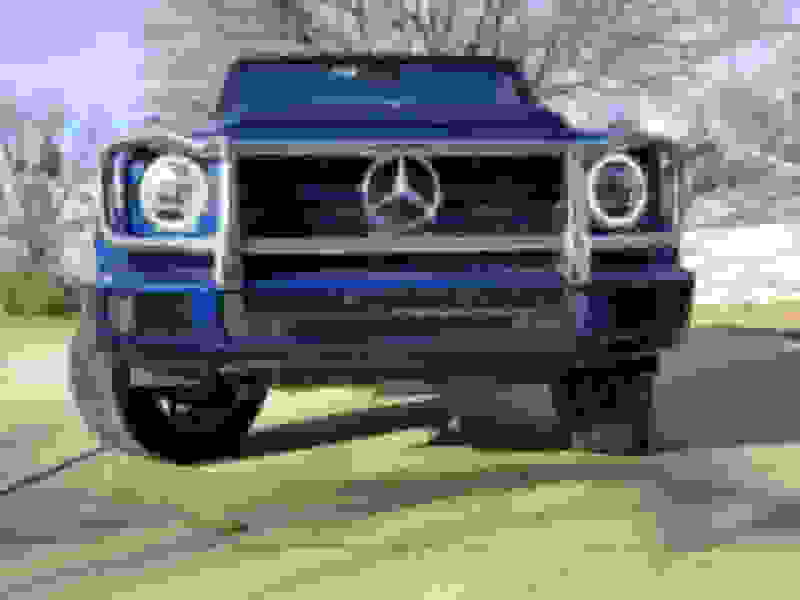 That all said, I have had excellent service from the below Yokohama AT tire, on a half ton truck and they are one of the only AT tires with at least an "H" speed rating. While I don't plan on cruising at triple digit speeds too often, I always want that saftey factor. Also, the higher speed rating normally means a higher quality tire. The ones on our truck only required a few ounces to balance, while the original Bridgstone tires required more than 5 times as much! Any other recommendations for the forum? 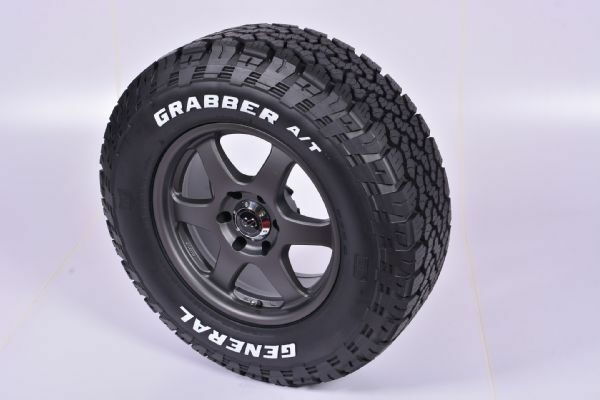 I finally decided on my tires: General Grabber A/T X size 275/55R20. These are only 1" taller and lifts the max height of the G by 1/2" to 6' 6" even. The squareness of the tread pattern yields an extra half inch of width. German speedometers are notorious for being two mph higher than actual, so no worries due to the extra circumference. Since the stock spare is already 0.5" smaller than the stock tires, I decided to get a 245/60R20 Cooper Discoverer SRX (just a cheap tire). This is about 0.2" smaller than the Grabber, but it will always be this diameter while the Grabber will get smaller with time. 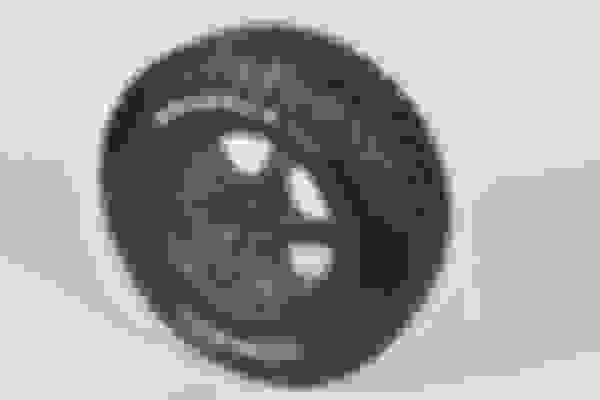 Given the apparent narrowness of the tire cover, I suspect the 245 width tire will be a better fit within the cover. Although, I won't know for sure until after installation. I plan hold onto the stock Pirellis until someone doing a lease turn-in needs a fresh set of tires. Unless someone wants them now on the cheap. 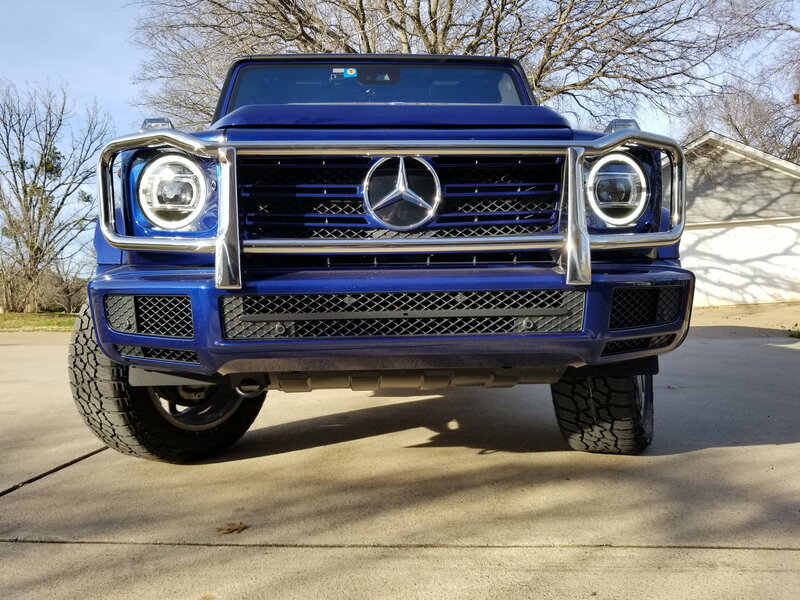 The Goodrich K02 was in my top three, but based on reviews that read/watched the A/TX seemed a little bit better for my likely heavy road usage with occasional off-road/snow activities. The K02 is certainly highly rated and you probably can’t go wrong with that tire. 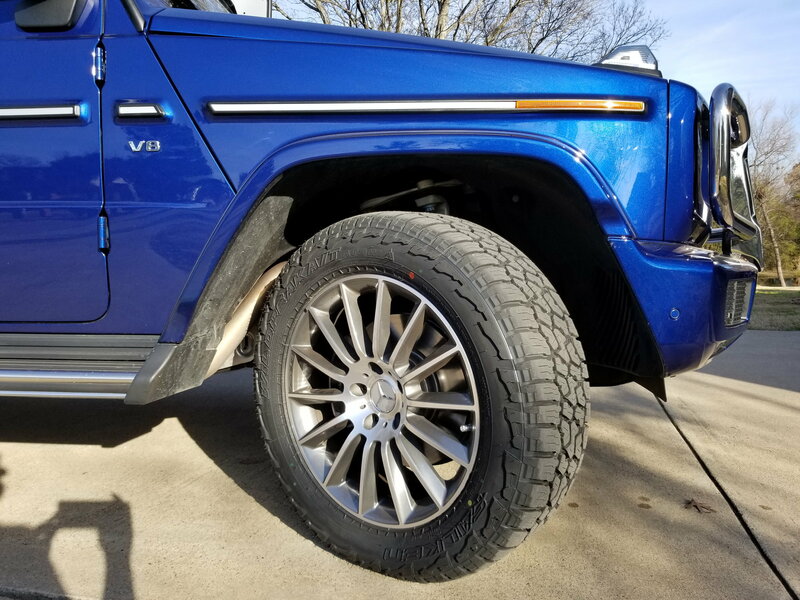 I finally installed some "real" tires on my G. I had narrowed my choice Between the Yokohama Geolandar G015 and Falken Wildpeak AT3W. The more agressive AT3W won out, in 275/55r20 117T XL. 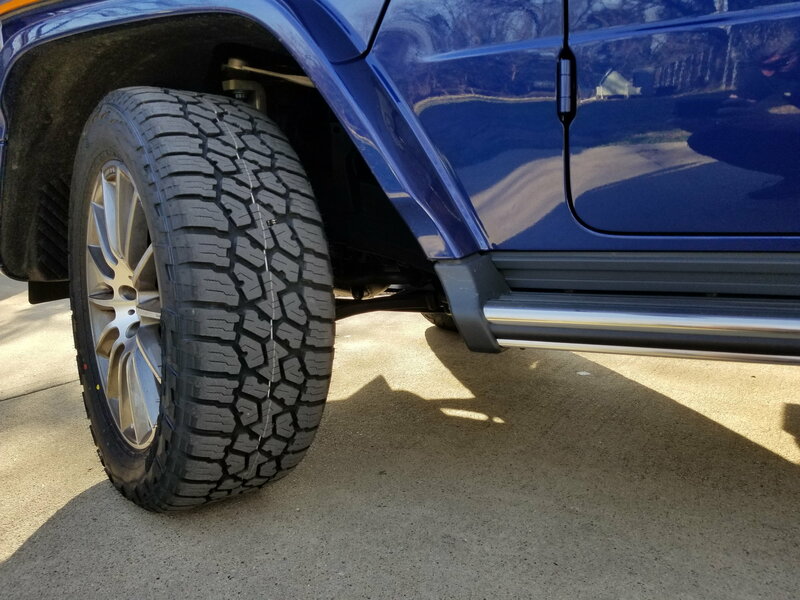 This size is the "safe" choice given the differences in tire specifications, when you move to a LT tire, like the 285/55r20. In 275/55r20, the AT3W has a 6 ply sidewall, which is better than most p/e tires, which are 2ply. They have a 117 load range vs. the 113 for the stock tires and have a T speed rating (up to118mph). I will let you all know how they perform, as I drive more. Here are some picks. I have been running Falkens for a few years and they work great in the snow. Tread is still like new. 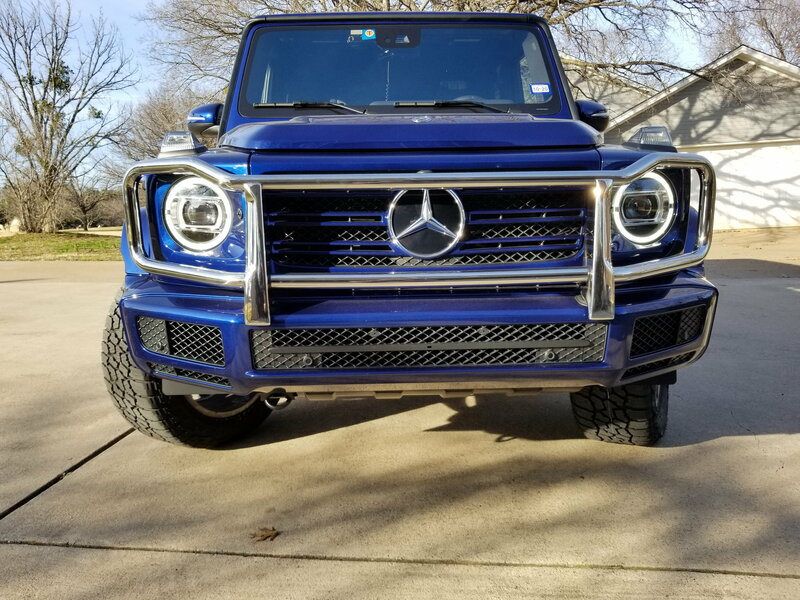 2019 G63 ED1 came with Eagle F1 295/40/R22. I plan on keeping the AMG red stripe 22 in rims. I live in Houston and while I don’t travel north in snow I am more concerned with wet weather traction as my G is for daily commuting. Don’t plan on going ridge climbing anytime soon but do love the look of the more aggressive look. Trying to find the balance of the aggressive look, wet weather traction and quiet ride. Any suggestions of tire upgrades would be appreciated. Also just trying to find the pics in one place on this forum has been cumbersome. So any pics could help tremendously. Thanks in advance. 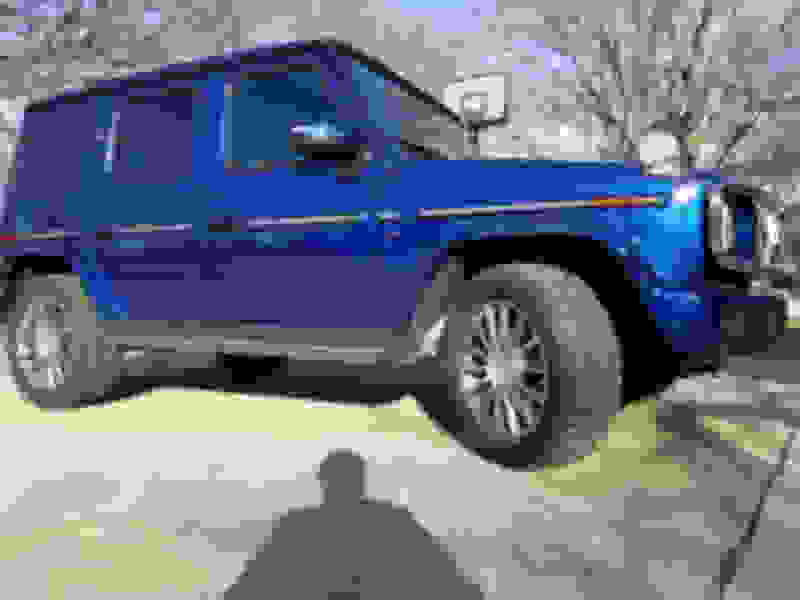 The rim size doesn’t really matter in determining the vehicle height. 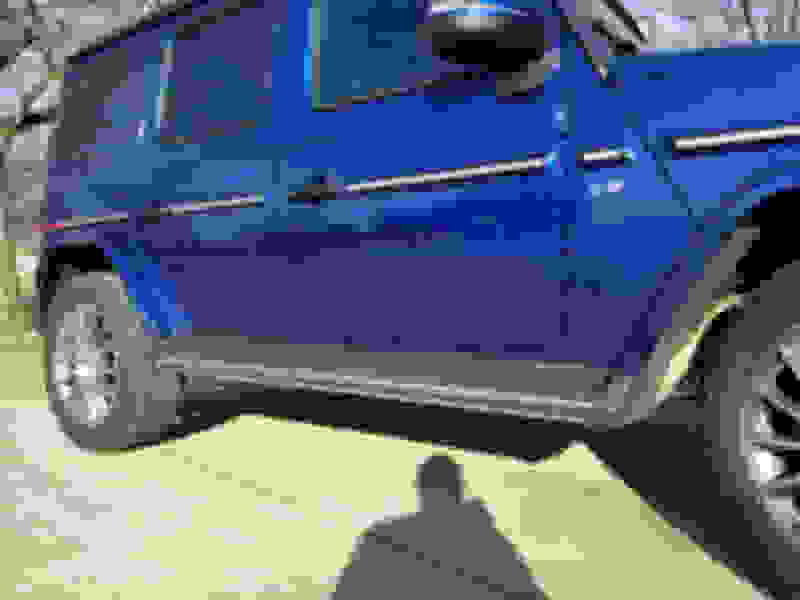 The height of the vehicle is only affected when the exterior dismeter of the tire is changed. I went from 275/50R20 to 275/55R20 which has a diameter that is one inch taller. Since the height is only affected from the axle to the ground, my G is a half inch taller. But it fits your wheel well area better right? Did you think about going even higher so you get even more tire. In my view, the Gwagon needs that area filled in better. 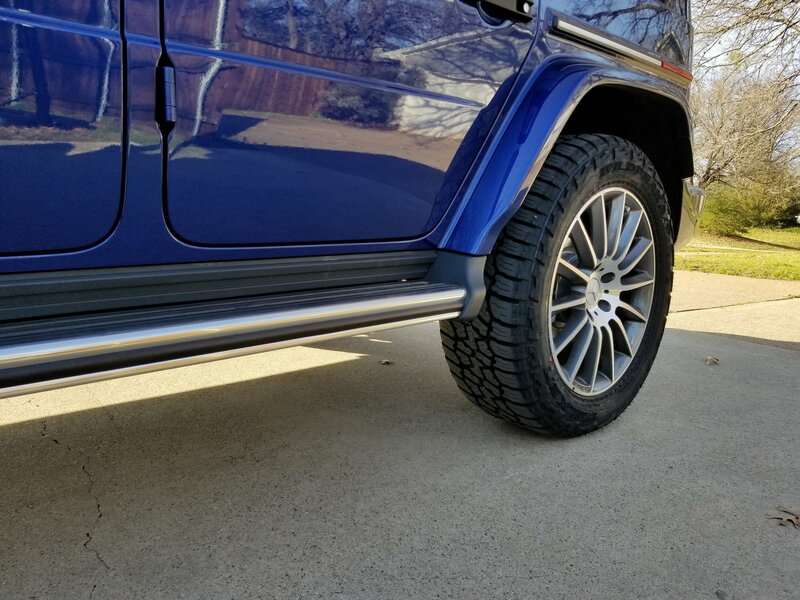 The larger tires definitely look better on the G. I considered going up to 33” (vice 31”), but I was starting to get nervous about fitting into my garage. Pirelli says that this tire for the 2019 G 550 in 275/50R 20 will be available +/- May-June 2019. It has been on their website for months, but no dealers have them. I heard Pirelli are being made in China now?